A huge welcome back after the holidays. We hope you all had a wonderful Christmas. Here are just a few little changes that we are making to the Year 1 curriculum. We will soon be starting to give out weekly spellings. A short list will be sent out on a Friday for a ‘test’ the following Friday. We try to learn an easy pattern linked to the spellings. We are also going to introduce ‘homework’. This will be based on a ‘Creative Curriculum’ rather than formal sheets every week. 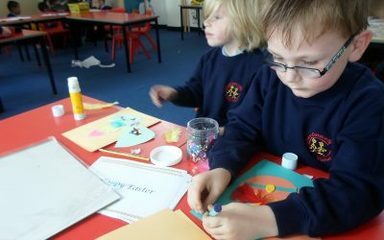 Children will be given a topic idea each half term and then lots of ideas of things you might like to do over a number of weeks. This half term it will be based on ‘France’. 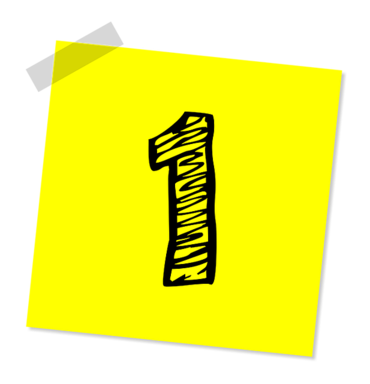 At a given date, we will gather in all of the exciting things that have been done and share them with parents and carers. We will also start hosting ‘Family Friday’ sessions now and again. This is where adults are invited in on a Friday afternoon to join in with activities in the class. 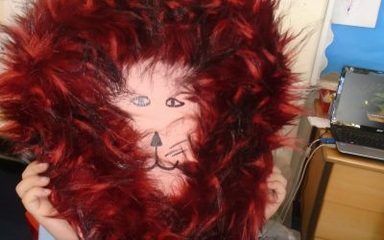 It is always great fun and often just a little bit messy! Get your creative heads thinking! Look out for extra information and dates coming about the various things we’ve got coming up. Please bring in your reading folders on your reading days as some are forgetting regularly. 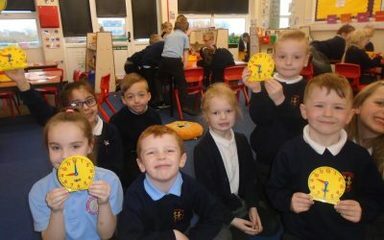 We will also be handing out a Read Write Inc Set 2 and 3 sounds yellow book, which you can practise at home, which will support your child in their Phonics Screening Test in June. Sorry this seems like a huge amount of information. Please don’t hesitate to come and see us if there is anything you are unsure about. It was a lovely sunny afternoon on Friday so all of Year 1 headed out onto the terrace. We decided to spruce up our outdoor area by planting some flowers. 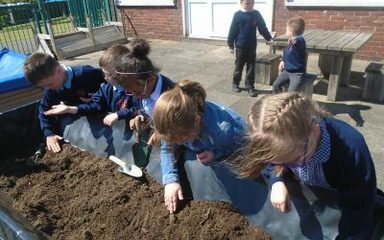 We planted sunflower seeds and gypsophila seeds. We will look forward to seeing them bloom. 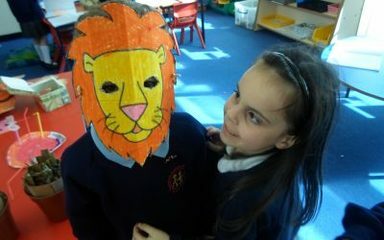 As part of our Animals Around the World topic, we set some creative homework all about animals. 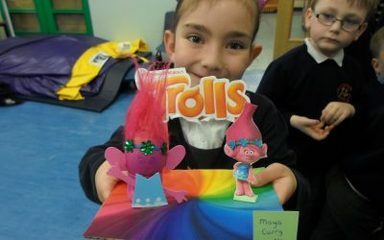 We were very impressed with the fantastic work which was brought in and had a great afternoon looking at it all. Thank you for all of your hard work! Year 1 had a super exciting and fun filled day in aid of Comic Relief! In the morning we went outside and used lots of PE equipment. 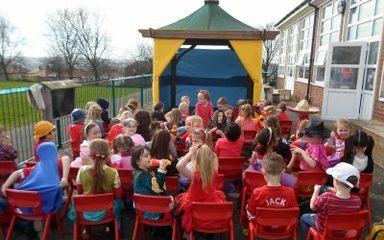 The children practised for a talent show which we later then performed outside in the gazebo. A wonderful day for a wonderful cause. Yet more sporting success at Glynwood this afternoon. 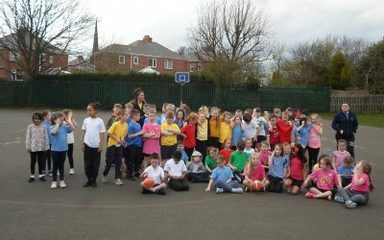 The children from Year 1 to Year 6 took part in an afternoon of competitive basketball activities. Everyone cheered each other on and worked very hard in their teams. Well done everyone! 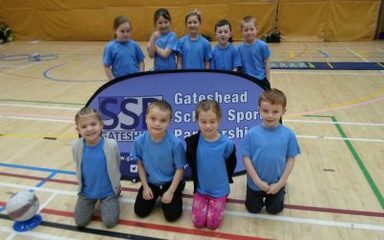 Some of the children in KS1 spend a morning at Gateshead Leisure Centre taking part in lot's of activities with other schools. All of the children enjoyed themselves at the festival and said that they would definitely go again! Well done everyone! 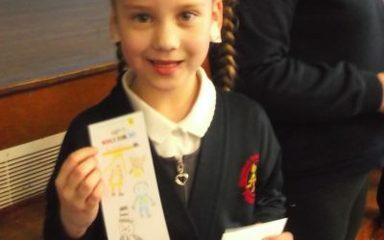 The whole of Year 1 had a fantastic day of fundraising in aid of Comic Relief. 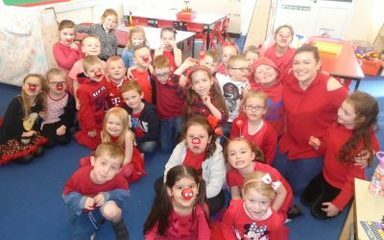 We came to school dressed in red, carried out Red Nose Day activities and even staged our own Year 1 Talent Show! A great day was had by everyone- grown-ups included!